Through this journey, the most glaringly obvious sign, the luminescent billboard of my life,was also ignored, probably because it happened gradually. That sign for me, was a hardening of my heart. 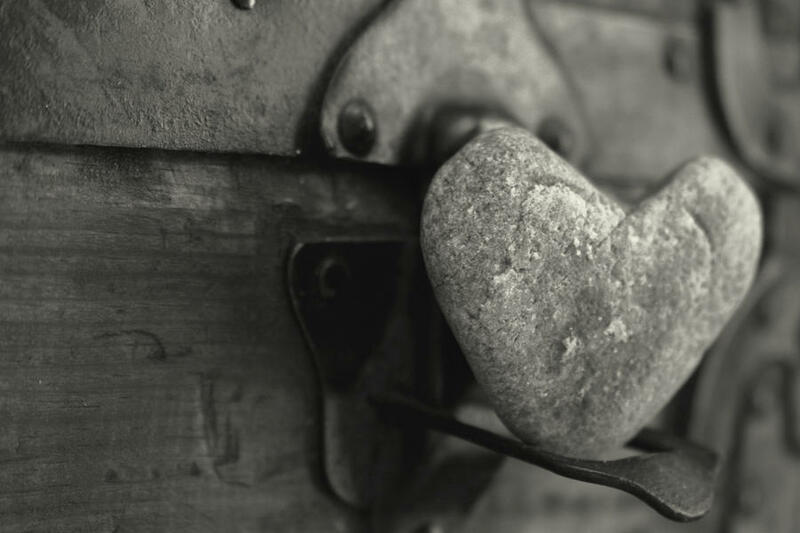 One Sunday morning, during a particularly spirit filled ministry time, my wife was receiving prayer and one of our good friends came to both of us and spoke with such precision and discomfort, that I have allowed my heart to harden. The key here is that I allowed it and didn’t cause it, probably the main reason I wasn’t “aware”. I received the word as uncomfortably as it was sent. The discomfort indicated the truth of my heart’s condition. So that night, quite flippantly, I prayed with my wife and asked God to soften my heart. The past few weeks have been a ride like I have never experienced before. Vulnerability, tears, emotions, swells of joy mixed with barrels of confusion. Am I cured? Probably not, I need to make some changes, I need to make adjustments to my course so I can get back on track with what God has called me to do, I need to focus on what is essential to my calling, this is my Rome, and guess what, it takes longer than a day. But I’m on a new path it seems. Simply by making myself available to God, and even reluctantly asking Him to soften what gradually has become a rock of a heart, He is so faithful. It is softening, often it is awkward, tearing up at random events and stories, but the truth is that He is working on my heart and I think that is the key to recovering from the “B” word, at least it feels that way to me. The things that moved me, are beginning to move me again, the things that I believe break His heart and once broke mine, are beginning to cause cracks again. I’m scared though, scared I’ll get moving and like that athlete that gets on the field too soon and bombs out, I am afraid I’ll jump on the hamster wheel and run myself right back to where I have come from. I hope and I believe this time things will be different, trust with me that things will be different. So for those of you who are running yourself ragged, those who are scoring the big points at this game of life, can I caution you, don’t lose sight of the most important gauge on your wellness dashboard, don’t ignore the state of your heart, be vigilant and take action if you see that needle moving towards empty, or hard in this case. I’m not one for not pushing through, but this “B” word stumped me, it hurt me, it hurt my family. When your wife looks longingly into your eyes with the sole desire to see the joy reflect back, when you kids run scared because they see you unable to control your emotions, it’s time to take a step back from the list, after all “You cannot overestimate the unimportance of practically everything” (John Maxwell). Make a change before you become Rockheart!